Additional Information: Packaged and sold as a complete set, Opening Day presents the opening day starting lineup for each team. The front of the cards use the same design as the regular 1987 Donruss set, with the primary difference being the use of maroon rather than black in the border. 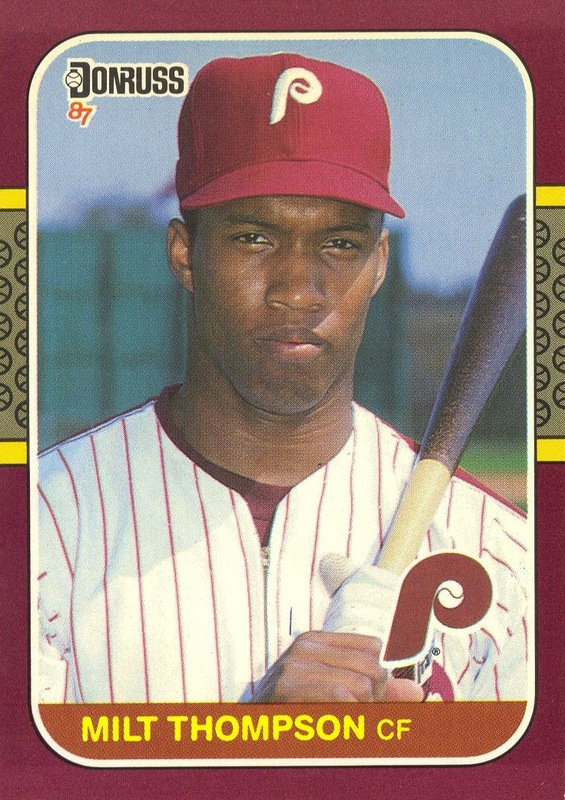 The set is notable in that it contains Mike Easler’s only standard-sized card depicting him as a Phillie. 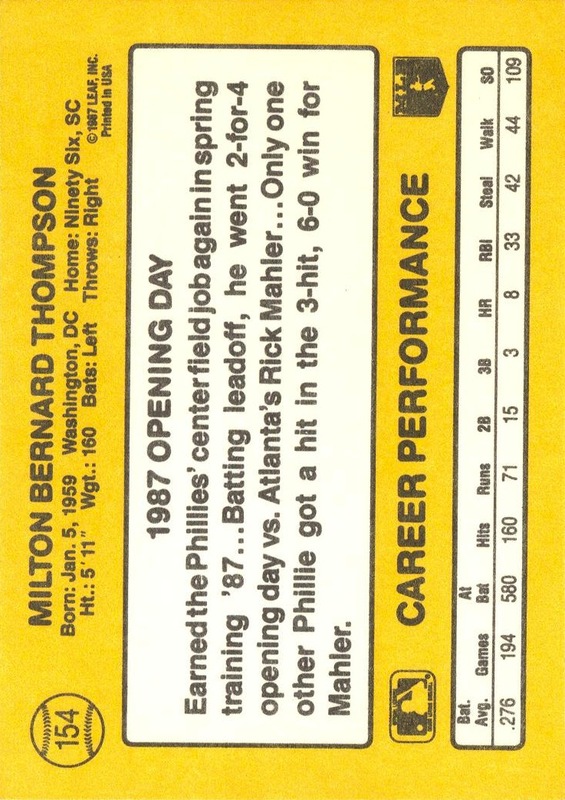 Interestingly, the Beckett online guide does not denote this as a Phillies card.